Figure 4: Screenshot of landing gone bad. Notice the LunarLander is broken because it is landed off the landing pad. This is the default screen when the Google Phone is starting up. It has ANDROID at the center of the screen with the cursor at the end blinking. 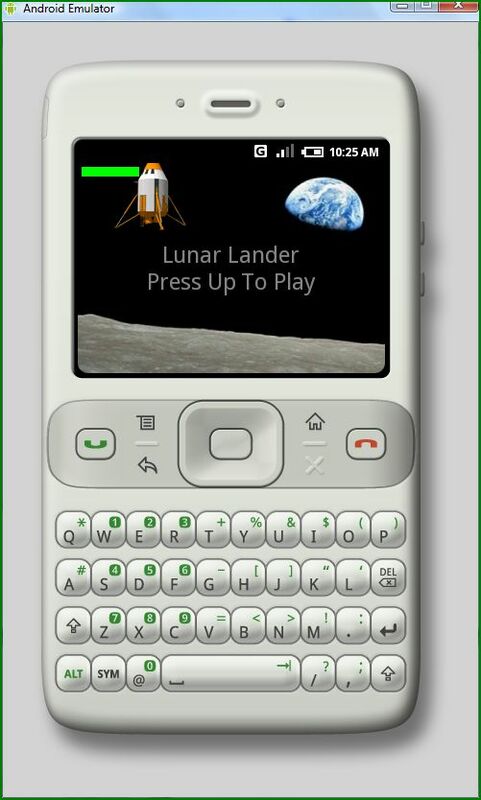 Goal of this game is to safely land the Lunar Lander on the surface of the moon on to a landing pad. 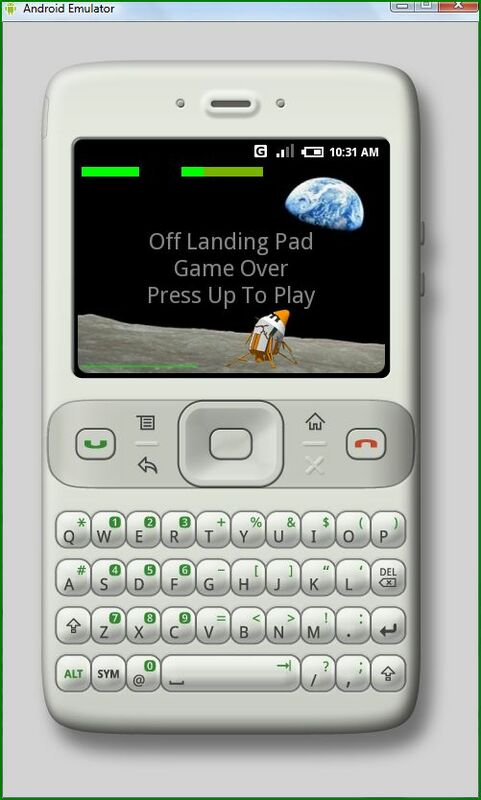 If the landing is off, the lander will land broken. 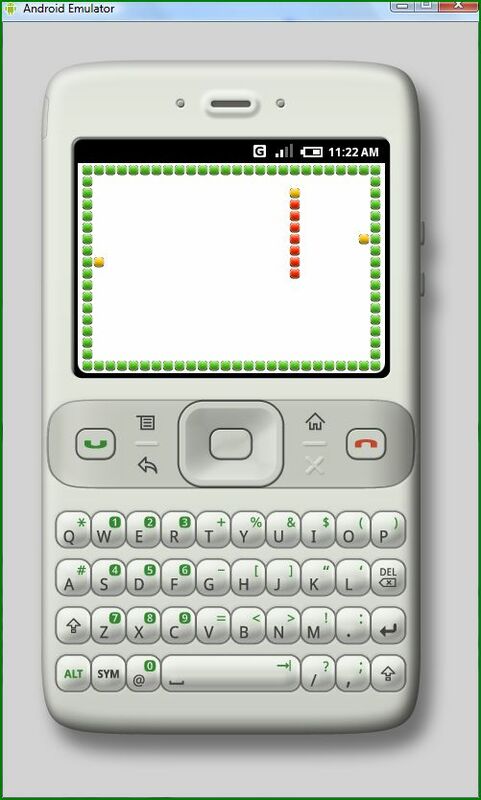 This is the classic snake game that you see on the old game machines at the arcade. 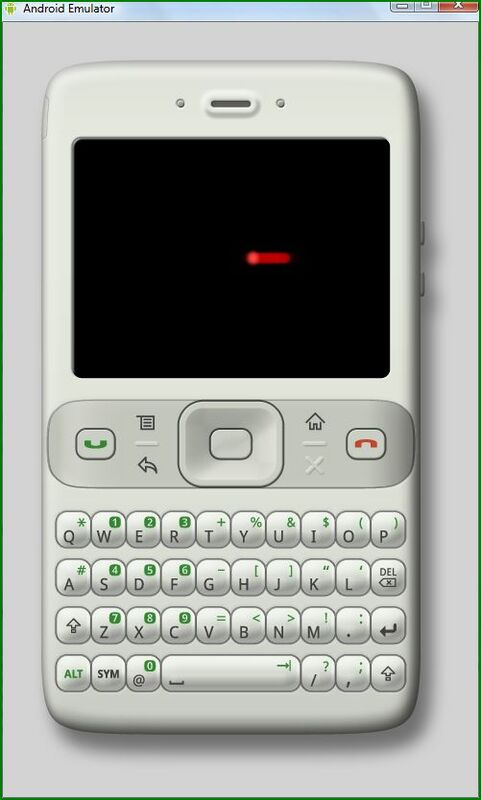 A snake keeps on moving and you need to use the left-right-top-bottom keys to steer the snake. There are apples scattered all over the screen. The goal for the snake is to eat those apples. With each apple, the length of the snake increases, making it difficult to maneuver. You win points as your snake eats the apples.